Google Pixel 3 and Pixel 3 XL goes official with Dual front cameras, Active edge and Android 9 Pie. Google has today launched two new smartphones in its Pixel lineup - the Pixel 3 and Pixel 3XL. The Pixel 3 has a 5.5-inch Full HD+ display with 18:9 aspect ratio and the Pixel 3 XL comes with a 6.3-inch Quad HD+ display with 18.5:9 aspect ratio and a notch. The Pixel 3 comes with a 5.5-inch HDR-capable, FHD+ OLED display and has the standard 18:9 aspect ratio. On the other hand, the Pixel 3 XL comes with a 6.3-inch HDR-capable, QHD+ display with 18.5:9 aspect ratio, ultra-thin bezels, large screen-to-body ratio, and a notch. The Pixel 3 and Pixel 3 XL feature an always-on display. Powered by Android 9 Pie, Pixel 3 lineup comes with the latest Android operating system. The Pixel 3 lineup is powered by the Snapdragon 845 processor paired with 4GB RAM and 64GB/128GB storage. The Pixel 3 has a 2915mAh battery, while the Pixel 3 XL will come with a 3430mAh battery. Pixel 3 lineup comes with an 18 Watt fast charger in the box, which can give you seven hours of use in 15 minutes of charging. With our AI-powered Adaptive Battery technique, Pixel 3 prioritizes battery power. The Pixel 3 and Pixel 3 XL sports a single 12.2-megapixel camera and 8MP dual front-facing cameras. Both smartphones comes with a new feature called Active Edge, which allows users to launch a certain feature by simply squeezing the two edge of the lower body. By default, this feature will launch Google Assistant. Pixel 3 lineup is IP68 water- and dust-resistant and has a security chip custom-designed by Google called Titan M, making it the most secure phone Google has ever built. Titan M enhances mobile security by protecting your unlock credentials, disk encryption, app data, and the integrity of the operating system code itself. Pixel 3 is priced at $799 and Pixel 3 XL is priced at $899. 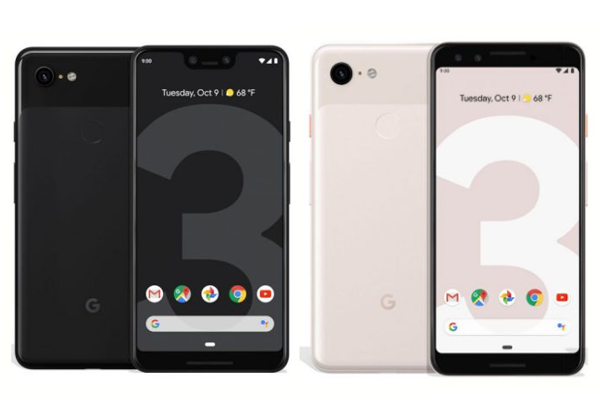 Pixel 3 lineup is available for pre-order now from Verizon, Project Fi, and Google Store unlocked.